Russian propaganda runs rampant on the online message board Reddit, especially on the notorious Trump supporters’ subreddit r/The_Donald. A search on Reddit for Russian propaganda outlets RT (formerly Russia Today) and Sputnik News turns up well over 200 examples apiece. This week, Reddit CEO Steve Huffman (who uses the handle “spez”) admitted the obvious that yes, Russian propagandists have been using Reddit, and outlined some of the steps the company had taken in response. Reddit disclosed its efforts to combat Russian propaganda on its site in response to the news that the Senate intelligence committee had expanded its Russian interference investigation to include Reddit and Tumblr. In his post on Reddit, Huffman admitted that Russian trolls had weaponized the platform, that the company was cooperating with the investigations as asked, and that the misinformation problem would be difficult to solve saying “I wish there was a solution as simple as banning all propaganda, but it’s not that easy. Between truth and fiction are a thousand shades of grey.” Reddit is now facing the same scrutiny as Google, Twitter, and Facebook over the spread of Russian propaganda on the platform. Huffman (spez) immediately answered questions from the Reddit community in the comments section. Reddit is different from the other platforms Russian trolls targeted, as users play such a large role in shaping its community. Volunteer moderators build and maintain subreddits, and the company’s leaders generally respond to user questions and concerns when they make announcements. That doesn’t mean that Reddit has done a better job on issues tech platforms are facing, just that the relationship Reddit has with its user base is less top-down than those of other social networks dealing with Russian propaganda. 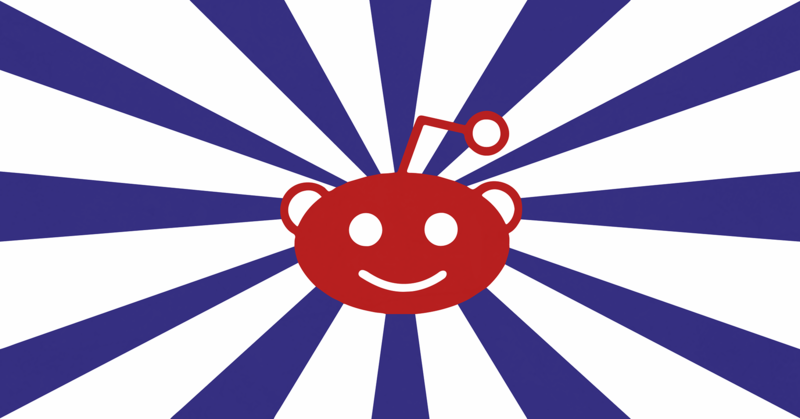 The subreddit most closely associated with Russian propaganda is r/The_Donald, already known among Reddit users as a problem child or, as Gizmodo reported in 2016, “a community which, by exploiting poor enforcement of Reddit’s already limp user protections, has effectively been holding the rest of the site hostage.” Multiple Redditors in the comments section of Huffman’s post pointed out that not only had r/The_Donald been infiltrated by Russian trolls (many argued that it was little more than a front) but also that the subreddit’s continued existence was a sign that the platform wasn’t taking Russian propaganda seriously at all. Huffman addressed this criticism by responding in comments: “Banning them [users on r/The_Donald] probably won't accomplish what you want. However, letting them fall apart from their own dysfunction probably will. Their engagement is shrinking over time, and that's much more powerful than shutting them down outright” (link original). Redditors responded by downvoting Huffman’s comment a record-breaking 6,000 times. I’ve long maintained that tech platforms will change only as much as their users demand. It doesn’t matter what the issue is -- hate speech, propaganda, disinformation, et cetera -- tech companies have no incentive to do anything beyond what’s profitable, unless pressured enough by their users. What strikes me is that Reddit’s community is better equipped to pressure Reddit to clean up its act than users of any other platform are. Unlike with your average Facebook user, that Redditors are well aware that a lot of Russian propaganda originates from and lives on this platform (*cough* The_Donald *cough*). Redditors have organized communities, and volunteer moderators are already in place. Users have a forum they can use to speak directly to the company leadership, and because that forum is public, media can cover it more easily, amplifying the conversation. Consumers have more potential power over tech companies than they realize, but only if they take collective action. Reddit’s unique community structure could be the birthplace of a new advocacy model -- one that could spread to communities on other tech platforms.